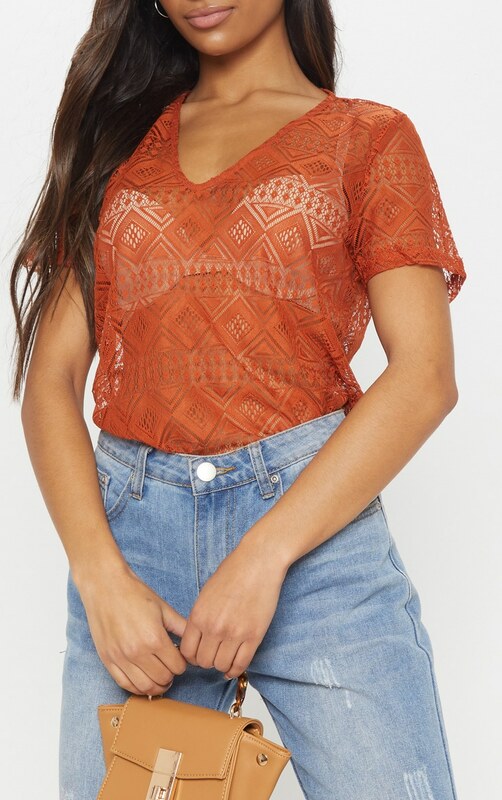 Give your wardrobe a sheer finish with this crochet t-shirt. 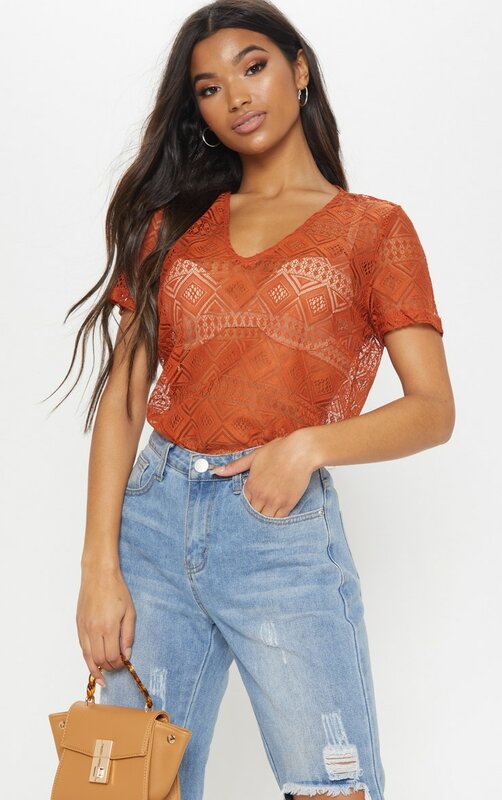 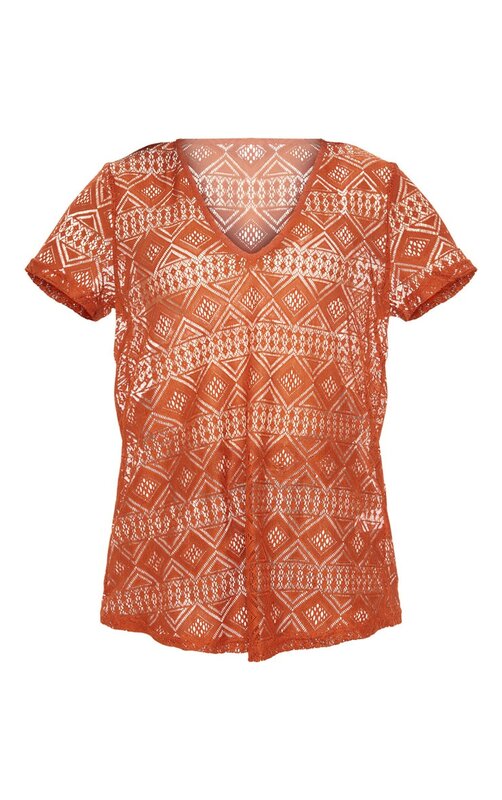 Featuring a burnt orange cotton crochet material with a v neckline and a t-shirt silhouette. 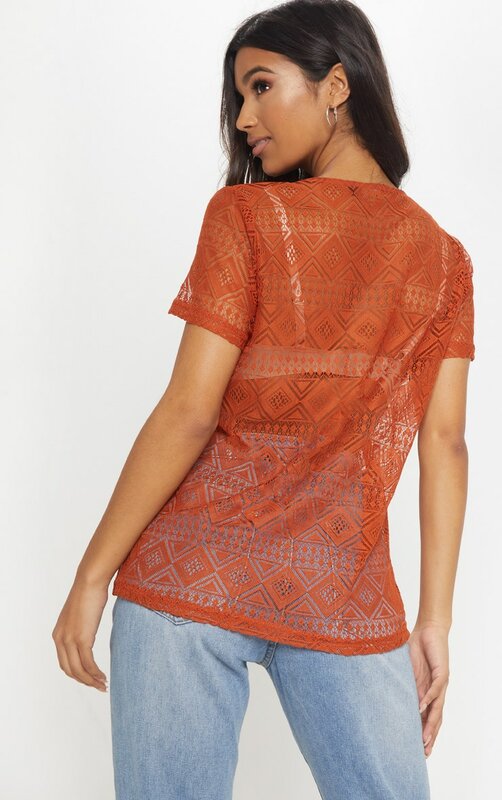 Team it with jeans and lace-up heels for a look we're loving.